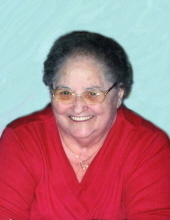 Leola May Bowers 86, of Madrid, passed from this life on September 12, 2018 at the Madrid Home surrounded by her loving family. Funeral services will be 2:00 pm Monday, September 17, at the Madrid Home in Madrid, Iowa with a visitation one hour prior to the service. Burial will be in the Fairview Cemetery in Madrid. Leola was born April 10, 1932 in Madrid, Iowa to Charles and Edna (Fees) Bowers, the oldest of seven children. She graduated from Madrid High School in 1950. In 1995 Leola started her career with the State of Iowa as a secretary and bookkeeper and later continued her career with other small businesses including the Lawson Lumberyard in Madrid. Leola was a member of St. John’s Lutheran Church in Madrid and Eastern Star #361 in Polk City. Leola enjoyed sewing and made lots of clothes for her nieces and their dolls. She loved playing bingo and was quite lucky at it. She also enjoyed traveling, cooking, reading, playing cards, doing puzzles and her word search books. She loved crafting with her plastic canvas and yarn, she would make decorations for all seasons and holidays, there would always be plenty made so she could share with her friends and family. Leola was a “people person” she loved to visit with everyone. She will be remembered as a sweet soft spoken lady with a smile that would light up the universe. Leola is survived by her brothers, Charles Bowers of Huxley, Dennis Bowers of Madrid; sister-in-law’s, Ruth Bowers of Madrid, Janelle Bowers of Colorado; nieces, Pam (Steve) Kinnard, Carla (Kenny) Graham, Debbie (Richard) Watkins; nephews, Randy (Monica) Bowers, Jason Bowers, Brian (Heather) Bowers, James (Evelyn) Bowers and many great niece and nephews. Leola was preceded in death by her parents; four brothers, George, Robert, Ken and Dale; niece, Judy Bowers; nephews, Michael and Kevin Bowers; sister-in-law Sharon Bowers. Leola’s family would like to thank the staff at the Madrid Home and Cedars for all of the love and care she received over the past ten years. To send flowers or a remembrance gift to the family of Leola May Bowers, please visit our Tribute Store. "Email Address" would like to share the life celebration of Leola May Bowers. Click on the "link" to go to share a favorite memory or leave a condolence message for the family.